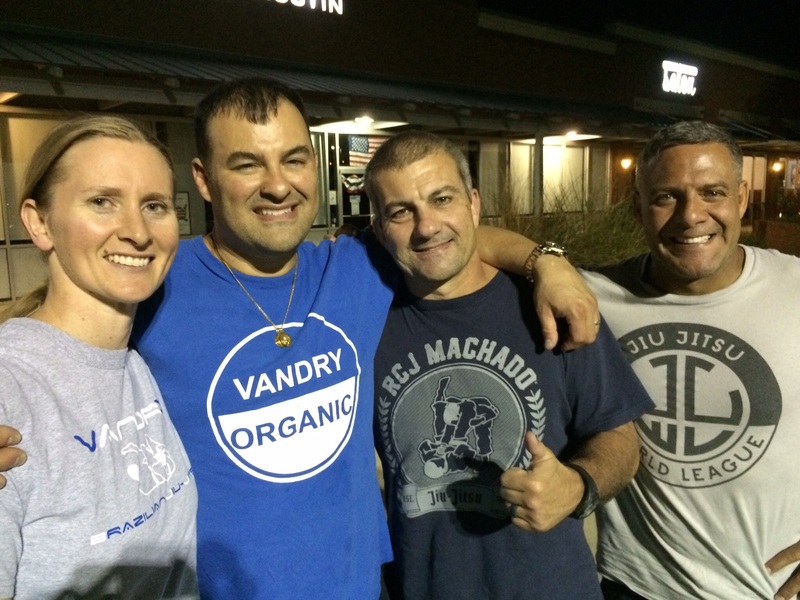 Chandra and William Vandry, Carlos Machado and Marcos Santos out to dinner after Leglock seminar! 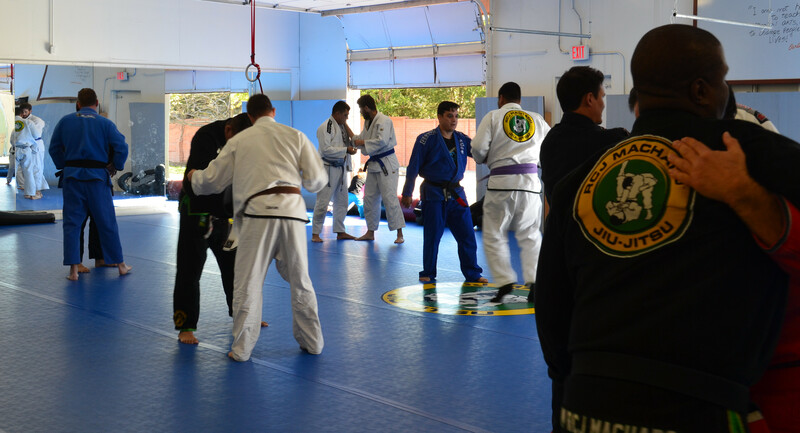 Third quarter Vandry BJJ Association clinic, and Health and Martial arts Expo was a hit with community, Martial arts and nutritional information, education and development. 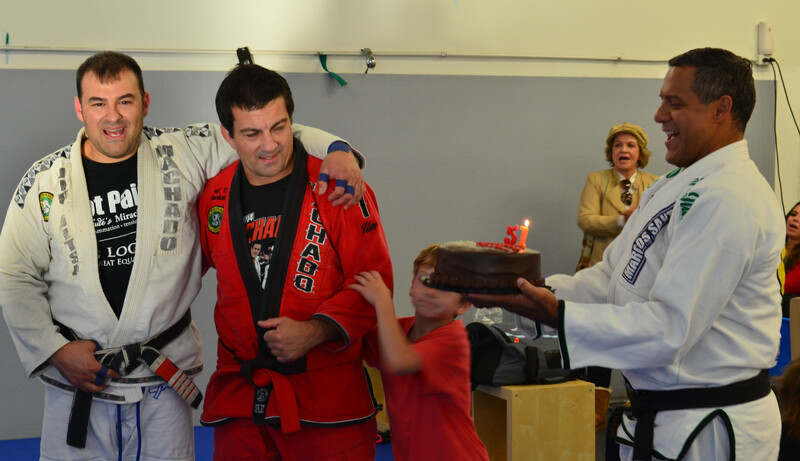 Friday, September 18 was the opening with Professor William Vandry teaching his unique style of Leglocks. 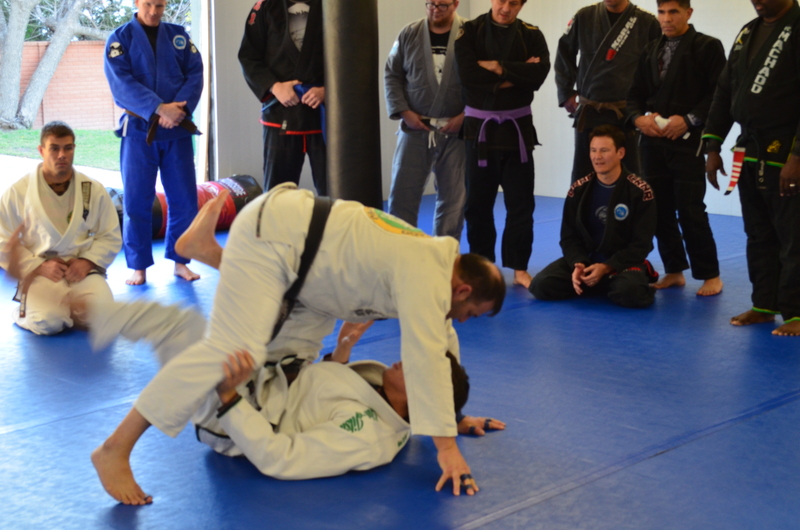 Fundamental ankle-locks to counter ankle-locks, to counter to the counter ankle-locks to half guard leg attacks and developmental angles were taught. Chandra Vandry (RN in neurology and allergy) taught the Got Pain? 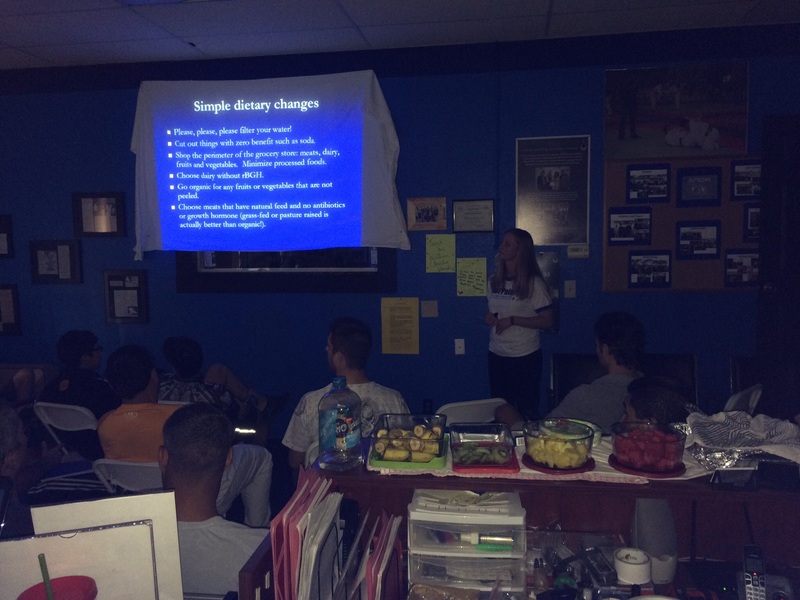 clinic on nutrition, health, information on NSAIDS, inflammation, pain, and referenced medical journals such as PubMed and NCBI. 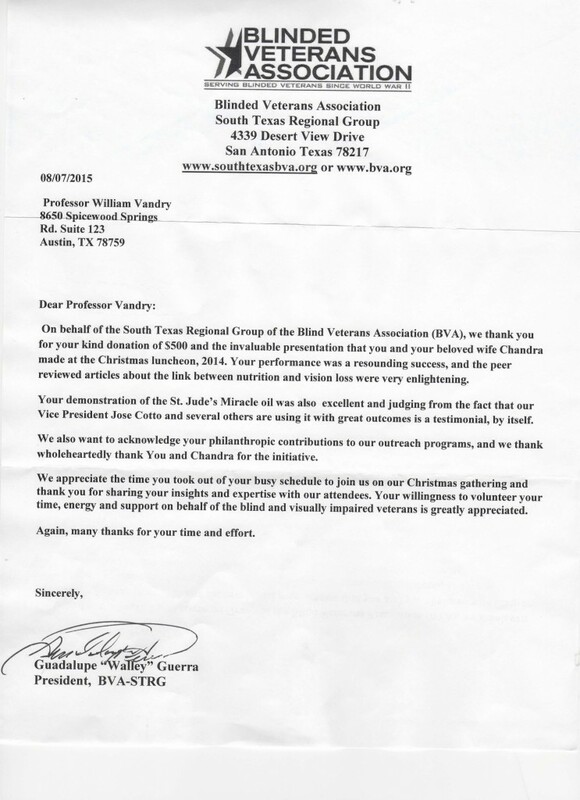 Chandra discussed correcting nutrition, and the Vandry’s product St. Jude’s Miracle oilTM proper application. Many questions were fielded from arthritis, insomnia, anxiety, and a very focused audience with many questions gives evidence of a community that is interested in improving health. 8th degree Red and Black belt Master Carlos Machado taught guard passing techniques, his ‘bear pass’, armdrag counters, defeating the Spider guard with retraction and passing techniques, and finished out with elbow locks from guard and top positions. 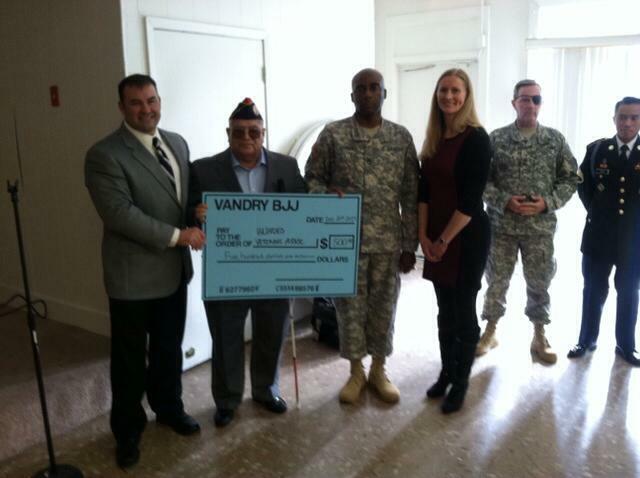 The Health and Martial arts Expo was the largest seminar at Vandry BJJ. Future Got Pain? 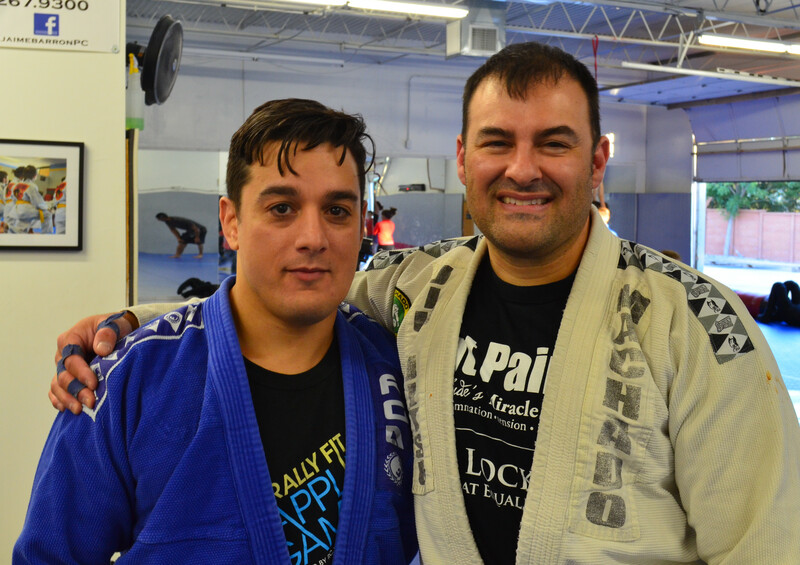 clinics with BJJ are in discussion, and proposals for a Dallas-Ft Worth Got Pain?/Leglocks/BJJ expo on a larger scale are being scheduled before the end of the year. For more information on Carlos Machado, please go to carlosmachado.net. For more information on the St. Judes Miracle oilTM, go to stjudesmiracleoil.com. 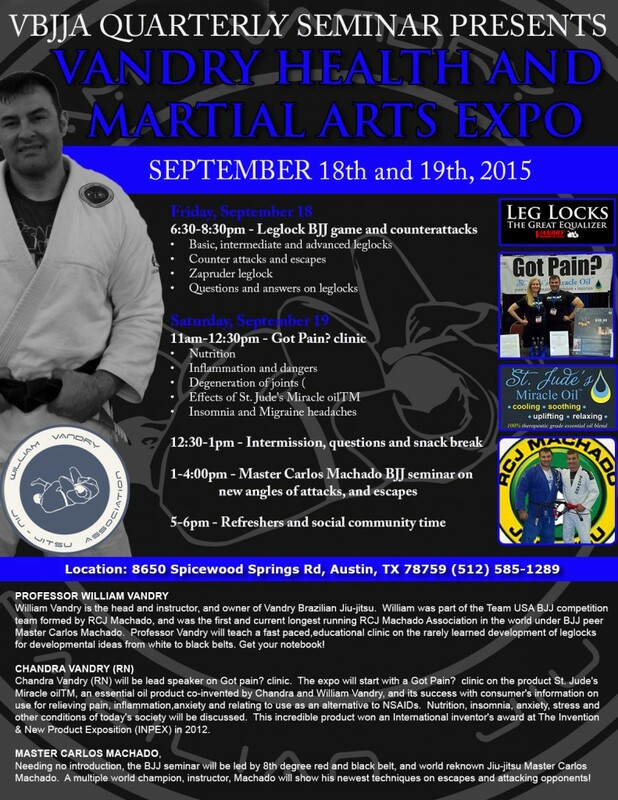 Martial arts Expo, Leglock seminar, Got Pain? 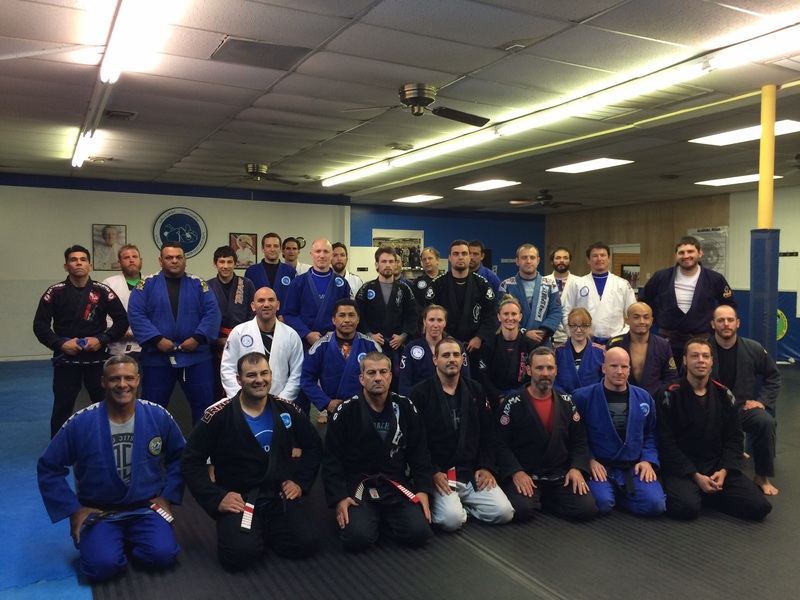 seminar, BJJ seminar! 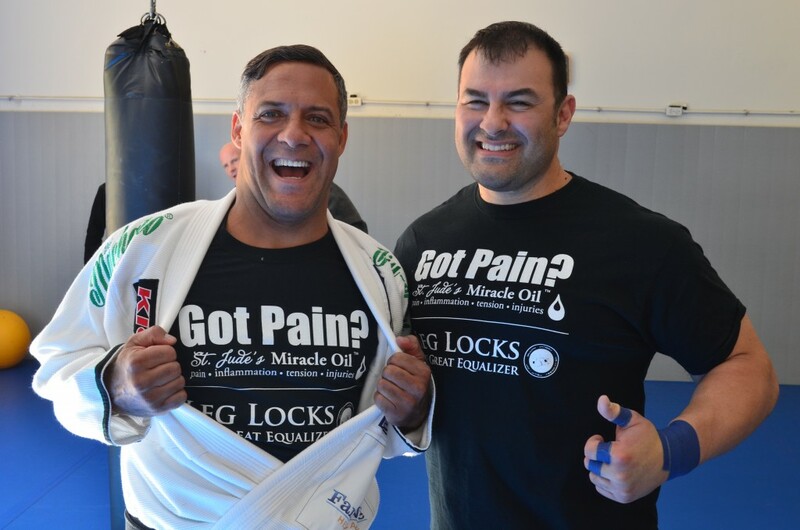 Pain, nutrition, Professor Vandry's View, St. Judes Miracle Oil Comments Off on Martial arts Expo, Leglock seminar, Got Pain? 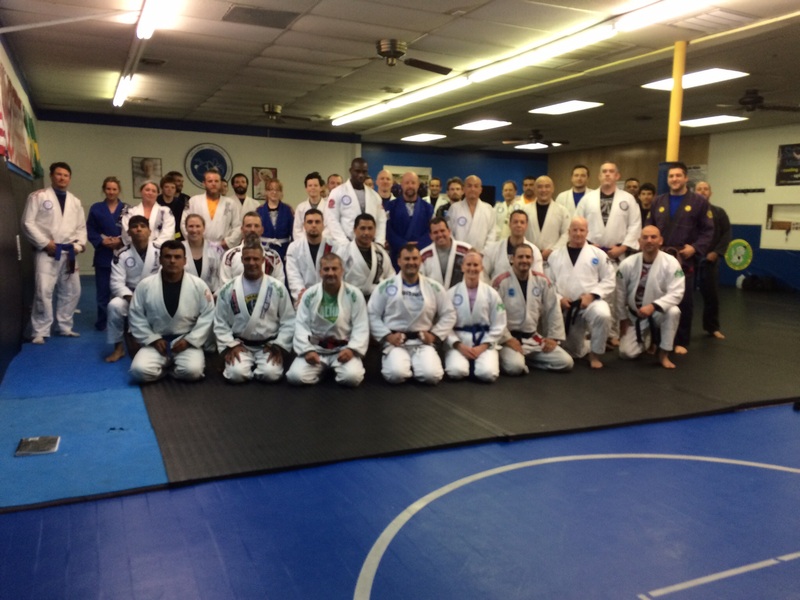 seminar, BJJ seminar! 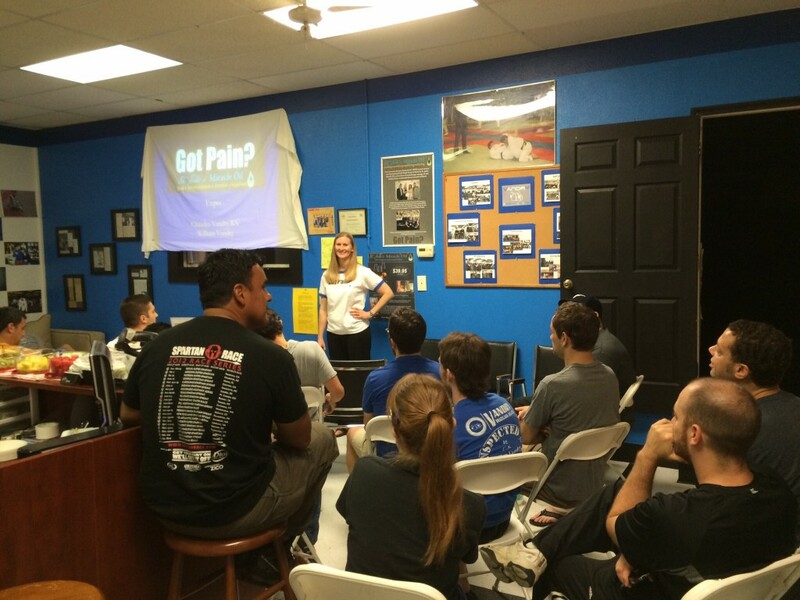 Our first event was a workshop we called Got Pain? Chandra and I developed, and co invented our essential oil product called St Jude’s Miracle Oil®. The name St. Jude’s Miracle Oil® is a proprietary blend of 9 essential oils registered under the US Trademark and Patent office, and is protected by trademark and patent laws. The special blend is a trade secret not public, and is also protected by law. 1. Methyl salicylate 2-O-β-D-lactoside, a novel salicylic acid analogue, acts as an anti-inflammatory agent on microglia and astrocytes.Lan X, Liu R, Sun L, Zhang T, Du G.J Neuroinflammation. 2011 Aug 11;8:98. doi: 10.1186/1742-2094-8-98. 2. A novel naturally occurring salicylic acid analogue acts as an anti-inflammatory agent by inhibiting nuclear factor-kappaB activity in RAW264.7 macrophages. Zhang T, Sun L, Liu R, Zhang D, Lan X, Huang C, Xin W, Wang C, Zhang D, Du G.Mol Pharm. 2012 Mar 5;9(3):671-7. doi: 10.1021/mp2003779. Epub 2012 Feb 15. 4. Evaluation of the new anti-inflammatory compound ethyl salicylate 2-O-β-d-glucoside and its possible mechanism of action. Xin W, Huang C, Zhang X, Zhang G, Ma X, Sun L, Wang C, Zhang D, Zhang T, Du G.Int Immunopharmacol. 2012 Dec 4;15(2):303-308. doi:10.1016/j.intimp.2012.11.014. 8. Phytochemical composition of Cymbopogon citratus and Eucalyptus citriodora essential oils and their anti-inflammatory and analgesic properties on Wistar rats. Gbenou JD, Ahounou JF, Akakpo HB, Laleye A, Yayi E, Gbaguidi F, Baba-Moussa L, Darboux R, Dansou P, Moudachirou M, Kotchoni SO. SourceLaboratoire de Pharmacognosie et des Huiles Essentielles, Faculté des Sciences de la Santé, Faculté des Sciences et Techniques, Université d’Abomey Calavi, 01 BP 918, Cotonou, Benin. 10. Curr Med Chem. 2003 May;10(10):813-29.Antibacterial and antifungal properties of essential oils. Kalemba D, Kunicka A.SourceInstitute of General Food Chemistry, Technical University of Lodz, Poland. 11. 20Greenway, f, Frome & Engels, T. (2003). Temporary relief of postherpetic neuralgia pain with topical geranium oil. American J of Medicine, 115, 586-587. 14. Anti-inflammatory and analgesic activity of different extracts of Commiphora myrrha. Source: Jiangsu Key Laboratory for TCM Formulae Research, Nanjing University of Chinese Medicine, Nanjing 210046, PR China. – Leading causes of recurrent or persistent pain affecting Americans are headache pain, back pain, and neck pain. –About four in 10 Americans say pain interferes with their mood, activities, sleep, ability to do work or enjoyment of life. Two-thirds report interference with any one of these. 2. “Even at normal NSAID dosages, people with compromised kidney function can develop NSAID toxicity” (1). 3. “Adverse effects of NSAIDs cause 103,000 hospitalizations and 16,500 deaths per year in the United States” (2). 4. “In patients with such a history, however, use of NSAIDs (aside from low-dose aspirin) was associated with more than 10-fold increase in heart failure” (3). 6. The use of non-steroid anti-inflammatory drugs (NSAID) has commonly resulted in internal bleeding and stomach ulcers. Every year over 100,000 individuals are hospitalized and over 15,000 people die as a direct result of NSAID consumption. In America alone 50 people die every day as a result of medicating with common NSAIDs like Ibuprofen. 9. Non-steroidal anti-inflammatory drugs linked to increased risk of erectile dysfunction who take non-steroidal anti-inflammatory drugs three times a day for more than three months were found to be 2.4 times* more likely to have erectile dysfunction compared to men who do not take those drugs regularly, according to a Kaiser Permanente study published online in The Journal of Urology. 1 http://www.lef.org/protocols/appendix/otc_toxicity_01.htm (Whelton A et al 1991). 3. Page, J; Henry, D (March 2000). “Consumption of NSAIDs and the development of congestive heart failure in elderly patients: an under recognized public health problem” (Free full text). Archives of internal medicine 160 (6): 777–84.doi:10.1001/archinte.160.6.777. ISSN 0003-9926. PMID 10737277. 5. The main adverse drug reactions (ADRs) associated with use of NSAIDs relate to direct and indirect irritation of the gastrointestinal (GI) tract. NSAIDs cause a dual assault on the GI tract: the acidic molecules directly irritate the gastricmucosa, and inhibition of COX-1 and COX-2 reduces the levels of protective prostaglandins. Traversa, G; Walker, Am; Ippolito, Fm; Caffari, B; Capurso, L; Dezi, A; Koch, M; Maggini, M; Alegiani, Ss; Raschetti, R (January 1995). “Gastroduodenal toxicity of different nonsteroidal antiinflammatory drugs”. Epidemiology (Cambridge, Mass.) 6 (1): 49–54. doi:10.1097/00001648-199501000-00010. ISSN 1044-3983. PMID 7888445. 7. A 2005 study linked long term (over 3 months) use of NSAIDs, including ibuprofen, with a 1.4 times increased risk of erectile dysfunction.^ Shiri et al (Received 2005-05-21). “Effect of Nonsteroidal Anti-Inflammatory Drug Use on the Incidence of Erectile Dysfunction”. Journal of Urology 175 (5): 1812–1816. Retrieved 12 June 2011. And “Non-steroidal anti-inflammatory drugs linked to increased risk of erectile dysfunction”. sciencedaily.com. 2 March 2011. Retrieved 7 June 2011. Chandra hit the home run on information. We both were asked many questions on pain, and audience members stated many endure insomnia, pain, degenerative joints, and other conditions linked to pain. The Miracle oil was very well received, and we are very proud of our education and information to the general public. Chandra made comments on collagen and arthritis, and the medical journals reference. I noted on facebook there was a good amount of discussion and what seems to be a new motivation for many in attendance. The impressive points were two people who just saw us on the internet and came to the academy and purchased the oil. We have been to many expos, but this was our first Miracle oil expo. I think we gave the public hopeful information. Orlando changed a heelhook angle and Jean asked what to do. 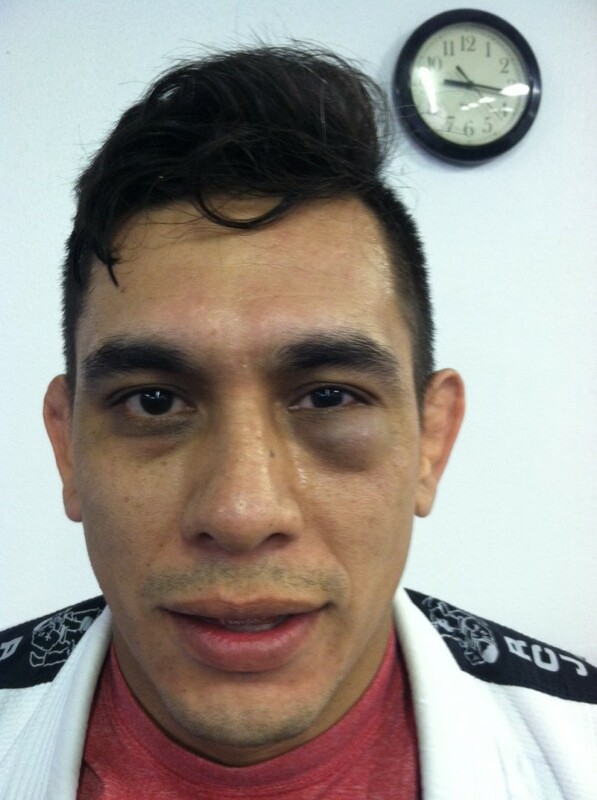 There is a move I call the punch counter and there is a counter leglock. I showed it real quick, and told everyone to go back to drills. Master Carlos interrupted, and said: “Wait, I want to see that calf lock again.” I joked and said we need to get back to drills. He then said he was taking over and everyone needs to know that calf lock. We all laughed, but when your instructor sees things your teaching he wants to open up on, its a reflection of his great teaching, not a student who has good teaching skills. 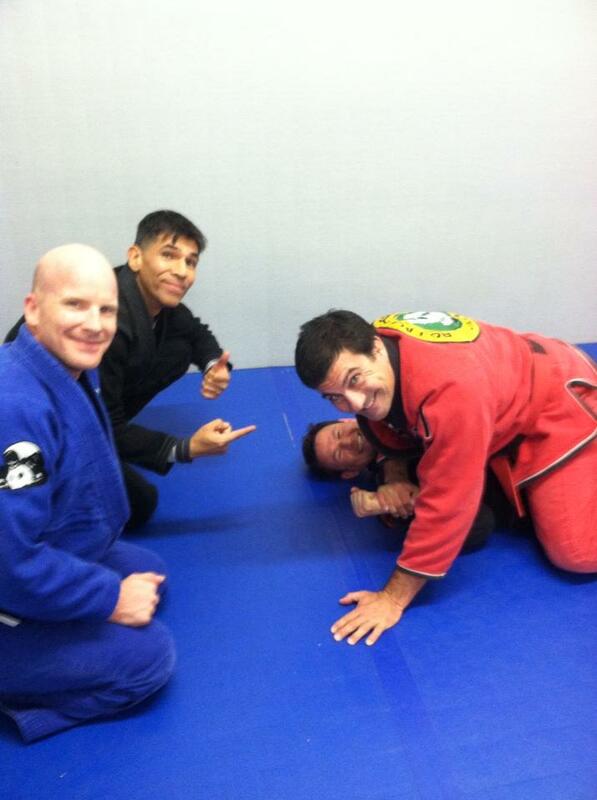 I can literally go on a euphoric high when teaching leglocks, or BJJ for that matter. Our two hour seminar I had no idea had already stretched into four hours. I asked everyone did they want to conclude, and even though each person is carbohydrate drained, they too gave me a great review by all voting to keep with the seminar. 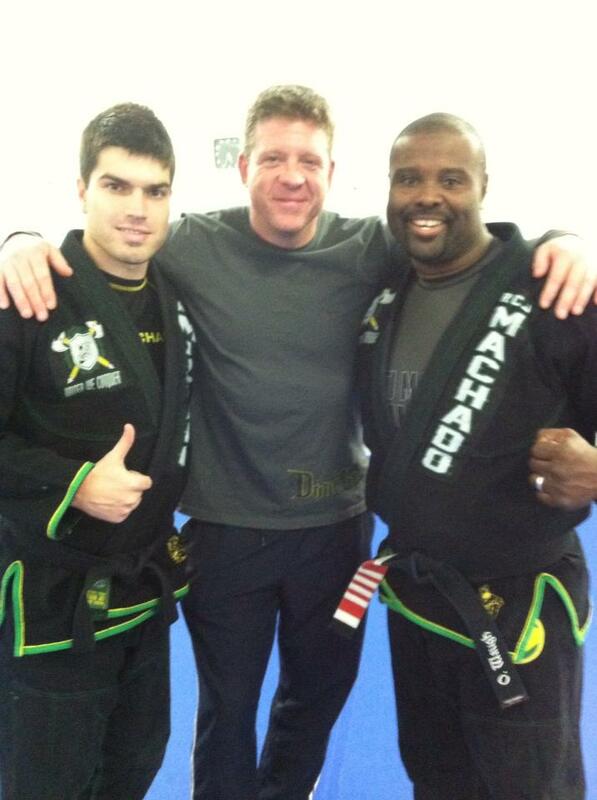 I want to thank first Carlos and John Machado for gracing my clinic as an attendee. 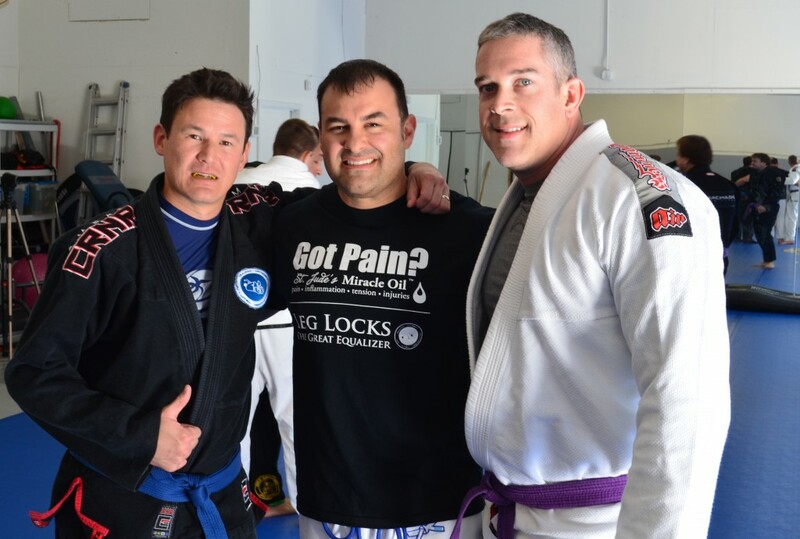 I want to thank all of my students who came from Austin to support the event, all of RCJ Machado students, Marcos Santos and his students, Orlando Waugh and his students, and all the friends and family who attended the Got Pain! clinic. I was boots hit the ground since Friday morning. 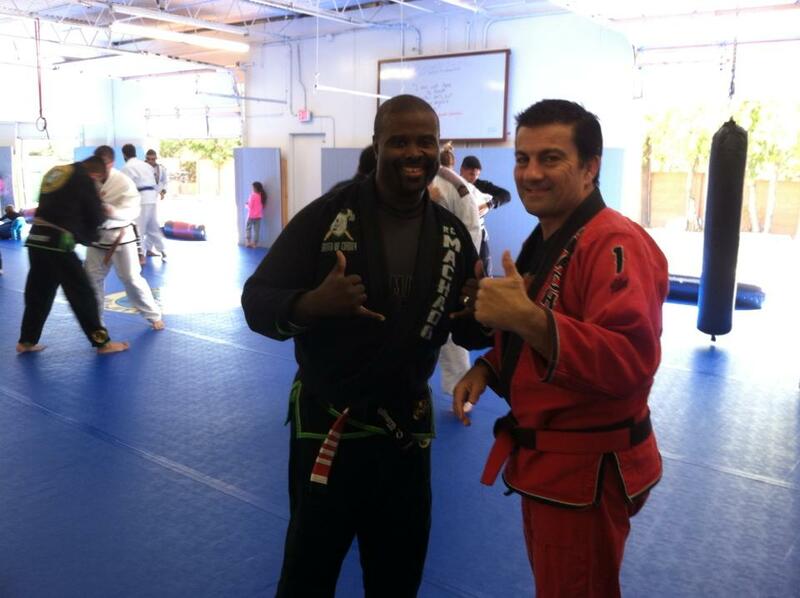 I arrived in Ft. Worth, and had to teach a private lesson with one of Marcos Santos’ students. 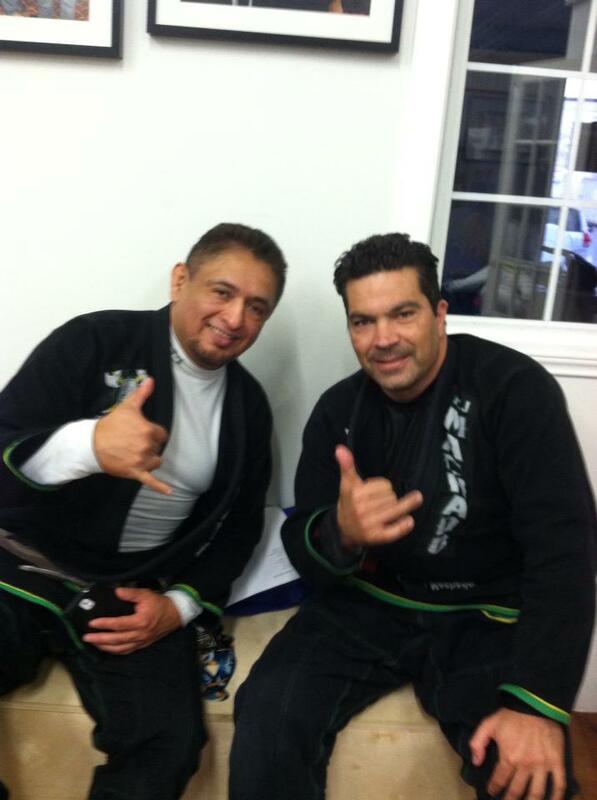 I did two hours with him, and Marcos and I got to do a little training. And I want to make a special note here. 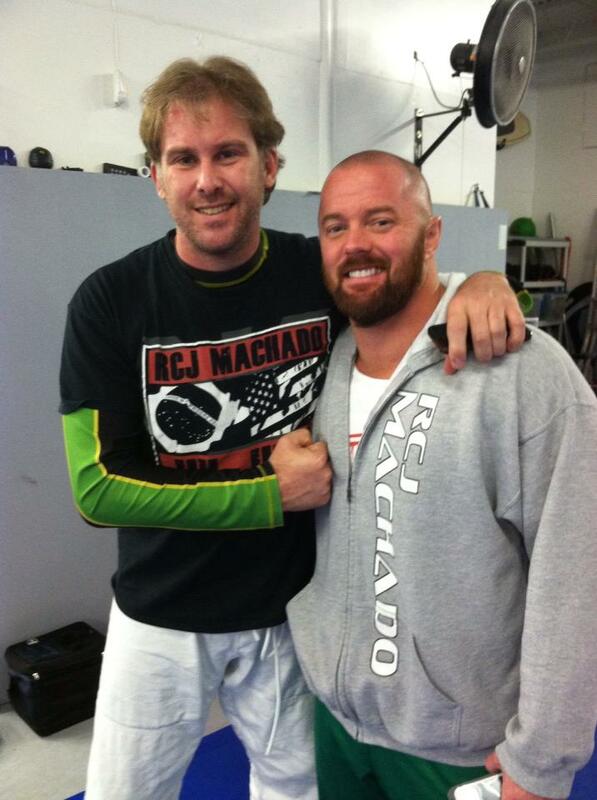 I have an old friend among all my old friends in BJJ from the old days at Chuck Norris’ Walker Texas Ranger set where we started and the years after. I miss a lot of my old friends and I catch them when I can. I saw my old friend Eric Shaw. 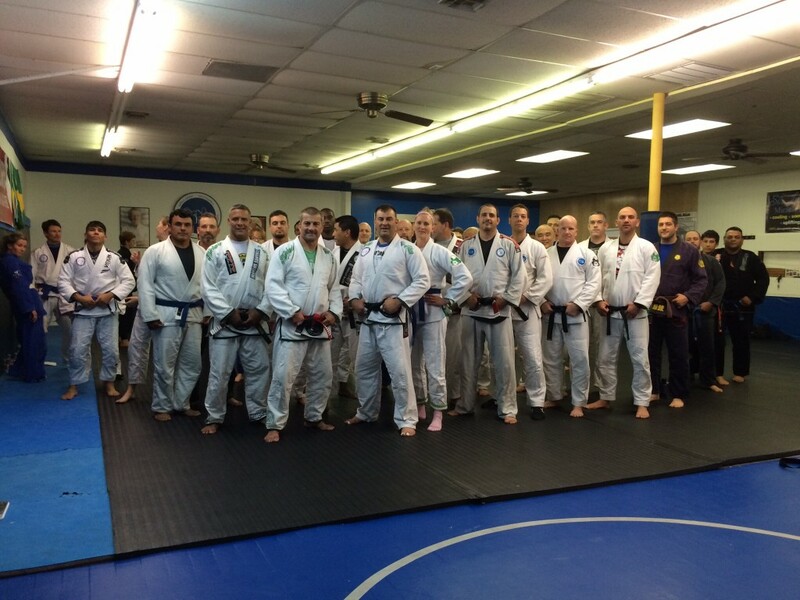 When I was a blue belt Eric was a white. I used to work with he and a lot of old school guys on counters and angles I was exploring. 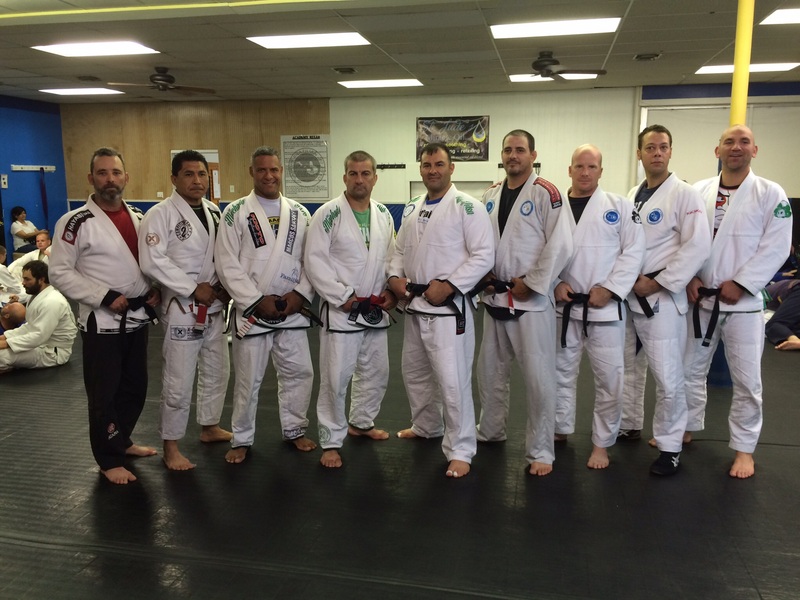 Eric received his black belt a few months ago. Eric in his ceremony mentioned me, and talked about me from 18 years ago. 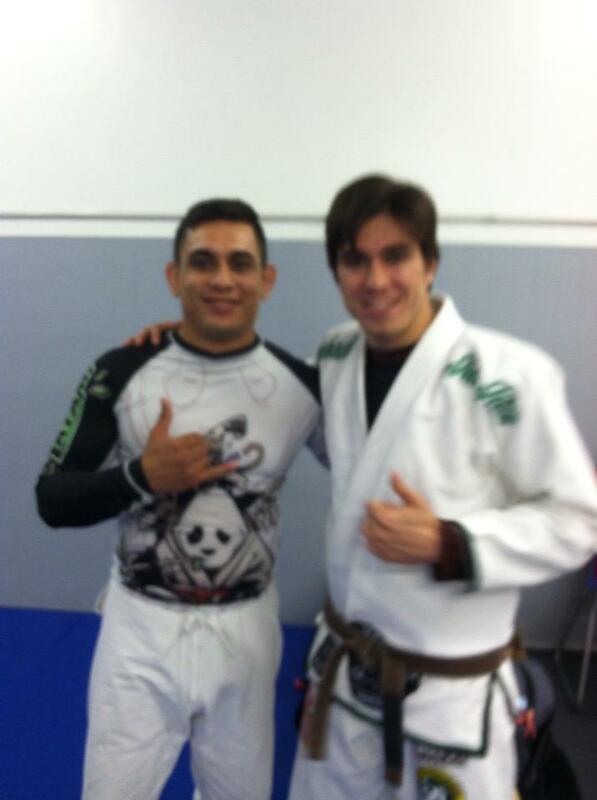 I met him that Friday, and we got to go over new ideas, and theories, and trained a little on the mat. I then saw my best friend and family that night. My wife and I made our spaghetti and low carb organic pizza at their house. We got to spend the important personal time real friends in community do and should do. Not fake photo taking opportunities, but the real friendship that is not drinking or going out, but real friends. In our Martial art there are good people and bad. You always want your good ones around and to support them, and always let them know your there if they need you. Chandra and I wanted everyone to know that. We discussed health, and I lectured everyone including my instructors on their health, and their obligation, responsibility, and duty as mentors to keep up with nutrition, supplements, Miracle oil and many others. The reviews from my peers is important. Two of my instructors gave me a thumbs up on the Got Pain? Clinic, and they both are now on more supplements. 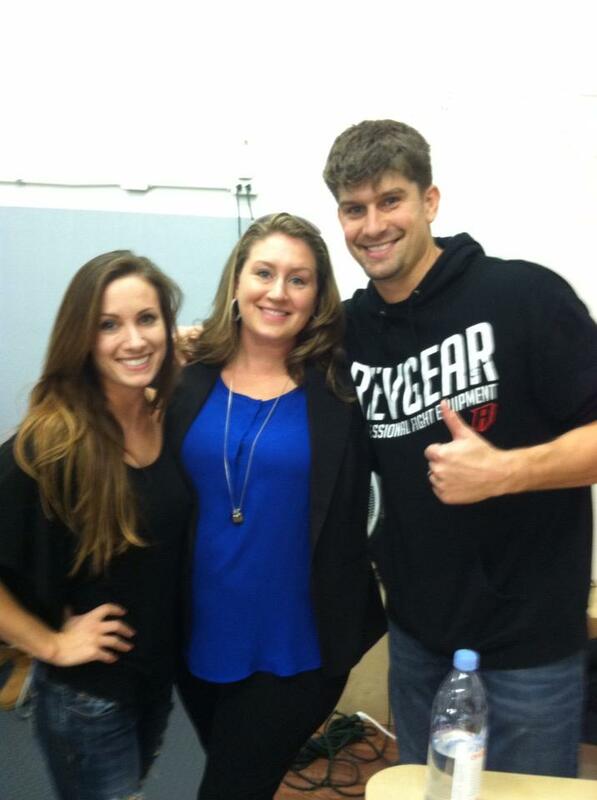 They gave a video comment on my leglock seminar, and I wanted to be peer reviewed by them. I wanted them to see a product that can give back to our BJJ community, but in the end, we always need to give credit back to our instructors. John and Carlos were the first two Machados I met in 1995. I met Rigan, Jean Jacques and Roger later, and have learned from all of them. Developing new concepts and theories comes from my science lab on the mat, but were it not for my instructors I would not have been able to develop the thinking strategy. They deserve the credit for that. That is a code I wrote on my website. I believe in a part of society that many do not. I believe in community, support, and a sincere hope to pass your care and teach others to go on that pathway as well. 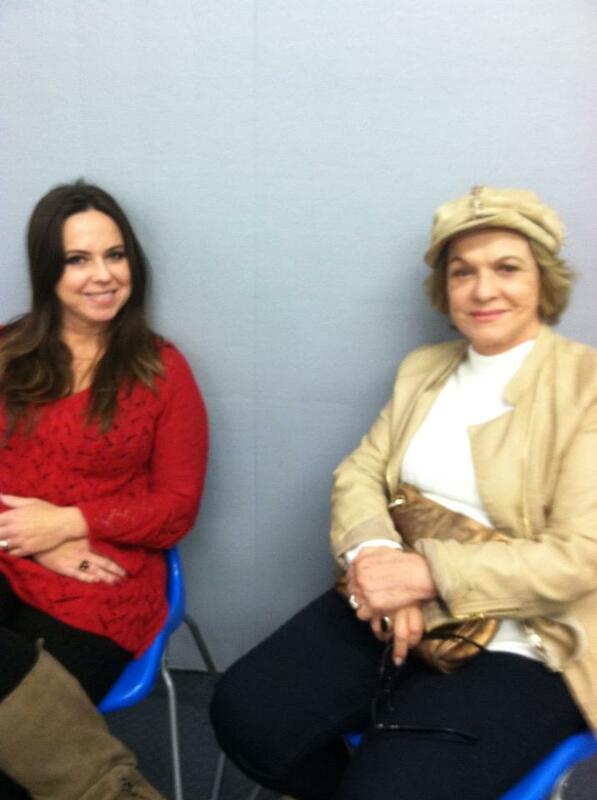 In photos of my events there are sincere smiles, happiness, community and true friendship. 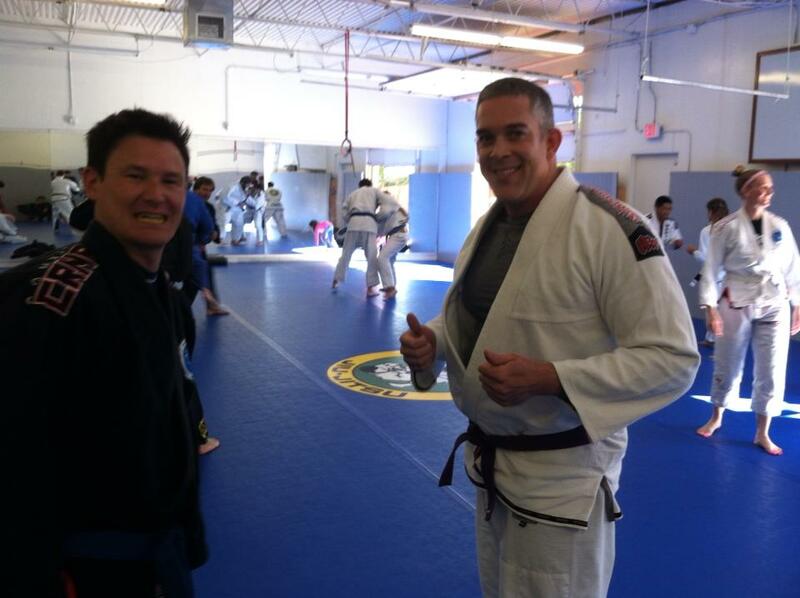 I wanted to see my instructor and spend some time with he and John. I knew it was his birthday and wondered if anything was planned weeks out. 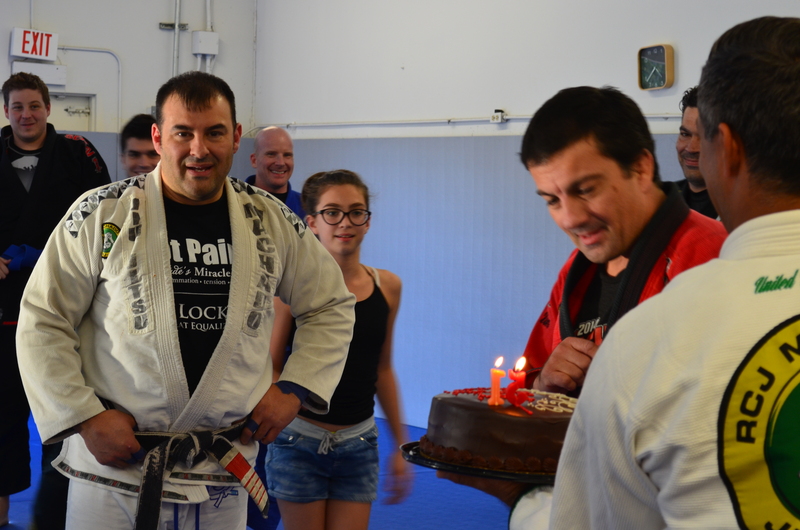 Since there were no plans, I spoke to Lindsay about a surprise birthday party in the area he loves more than anything else..on the mat. 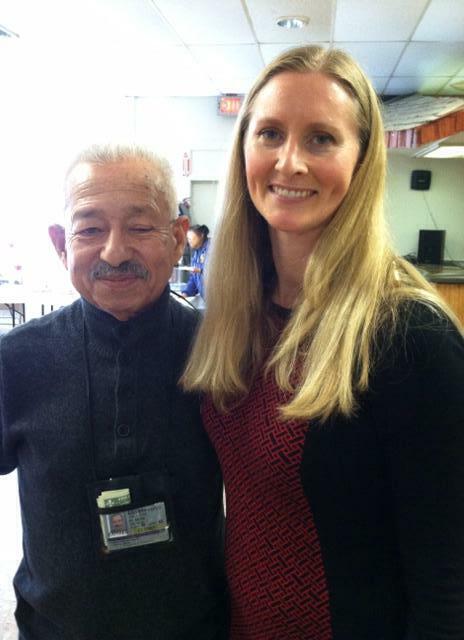 I was so happy that Chandra and I could show him how community is there and never forgets the small things. 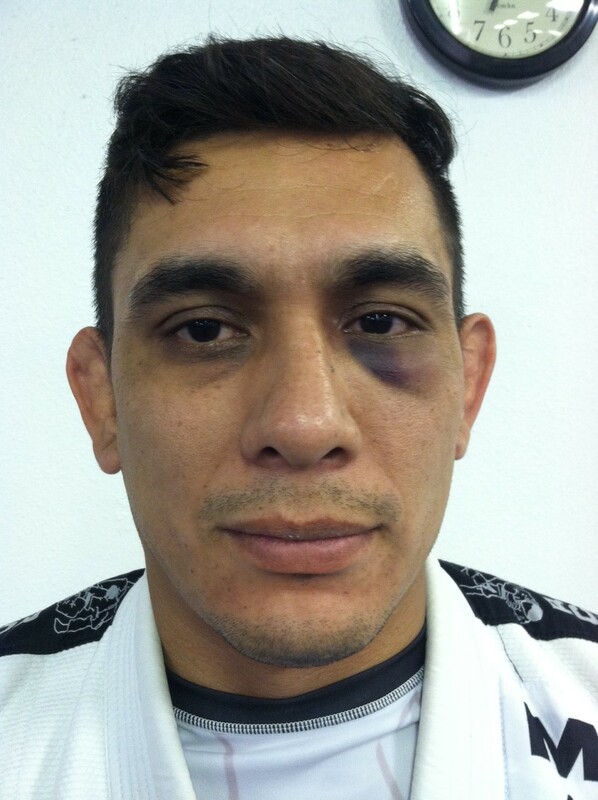 Carlos is 51, and is at his best of Jiu-jitsu knowledge. It was more than a birthday. It was a community and family event. 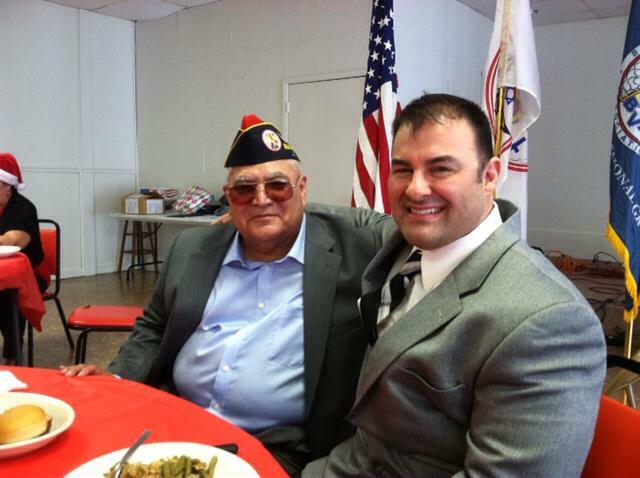 His wife, children, brother, nephews, nieces, closest friends, students, and his Mother were all there all day. Chandra knocked the walls down on education in her presentation. I think I did ok on my leglock seminar, and I am grateful and appreciative to everyone that kept wanting me to go after four hours. I enjoyed my brothers Marcos Santos, Orlando Waugh, RCJ students, Carlos and John, and all my family outside the mat. 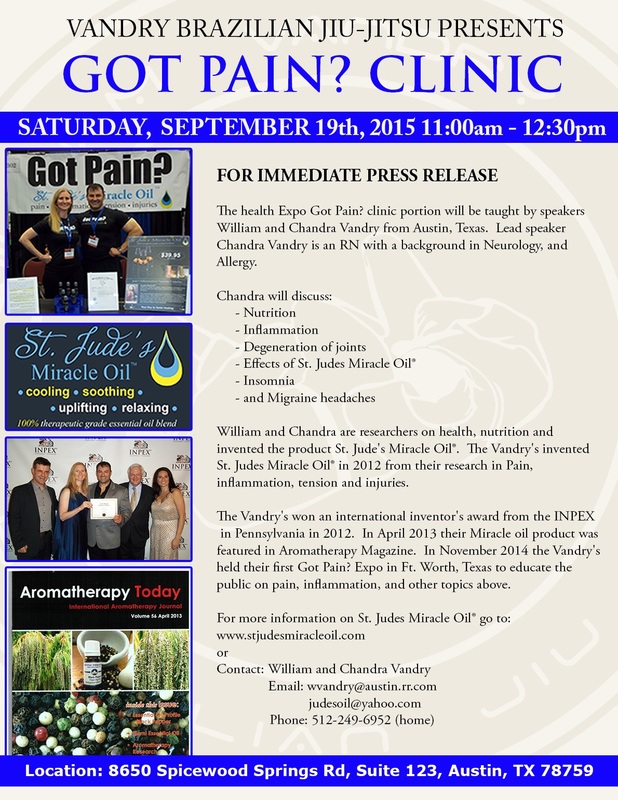 Thank you for allowing Chandra and I to reach out to you on nutrition and our St. Jude’s Miracle oilTM product. 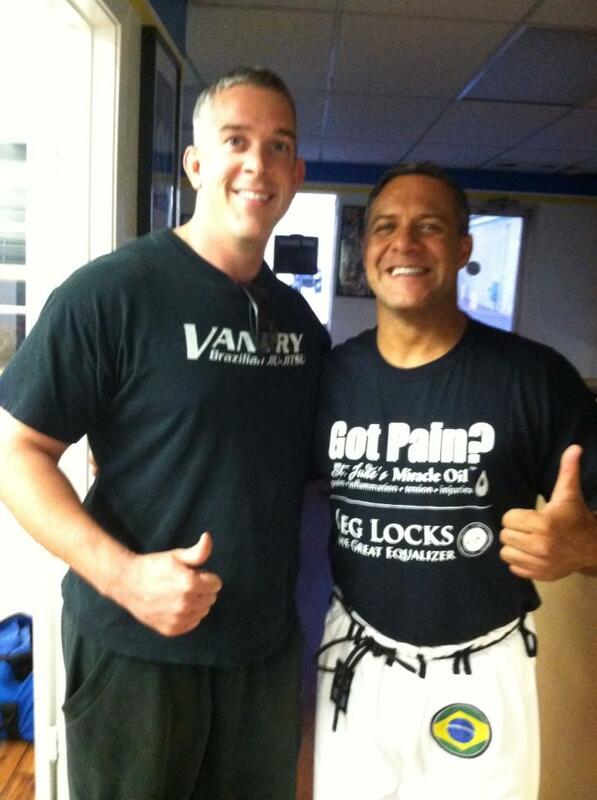 Thank you for the opportunity to teach a game of leglocks I love very passionately to your satisfaction. 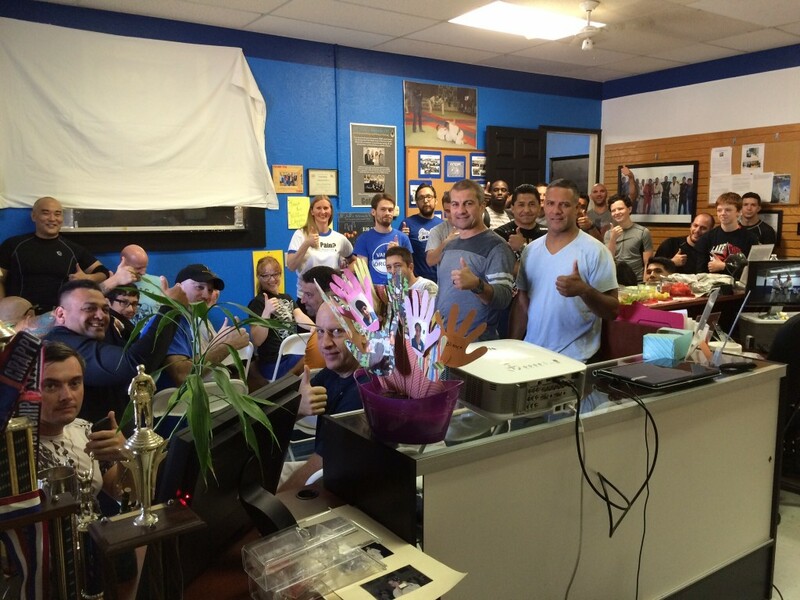 Thank you to all for being there for Carlos’ party. Thank you all very much. Professor Vandry’s View Again the Racehorse theory for Joints! Collagen 1, 2, and 3, Vitamins and Minerals for the joints, Serrazyme Nattokinese (fibrinogen breakup), Lumen 90, and of course St. Jude’s Miracle Oil®! Research shows that supplements of hydrolyzed types I and III collagen increase collagen levels in the skin. Types I and III collagen also support tendons and ligaments, and help with exercise recovery. Type II collagen makes up a major portion of the cartilage that cushions joints. In osteoarthritis, injury or wear and tear break down cartilage, eventually causing bones to rub together. Inflammation intensifies the symptoms but doesn’t trigger the disease. In contrast, rheumatoid arthritis is an autoimmune disease, where inflammation causes pain, stiffness, and swelling. It stems from an immune-system malfunction rather than ordinary wear and tear. Collagen can actually help with both types of arthritis. 2. SIXTY PERCENT of the patients showed substantial clinical response and one patient showed a complete response in which the disease was totally eliminated for 26 months. More importantly, there were absolutely no side effects. These results were so profound that a 90 day, double blind, phase two study was conducted on 60 patients with very severe, active rheumatoid arthritis. It’s important to note that these patients were not beginning or moderate cases, but the most severe cases that can be usually encountered. Patients either received the solubilized type II collagen or a placebo. (A placebo is a non-active type II collagen look-alike). The concentration was equivalent to that in the first study. Compared to the placebo group, the collagen type II group showed significant improvements in joint swelling, tenderness or pain. This also included the degree of swelling and tenderness together. The doctors evaluated the response in a 15 meter walking time at months one, two and three. During the period at which the patients were taken off immunosuppressant drugs, those that received the collagen type II show stability and/or even improvement while those in the placebo group tended to deteriorate. However, four of the patients in the placebo group did show a significant placebo effect. Four patients in the collagen type II group went into the next realm of the almost unbelievable, and showed a complete resolution of the disease. Manganese is a trace mineral that’s important for tissue repair and overall tendon and ligament health. Manganese deficiency results in abnormal skeletal development in a number of animal species. Manganese is the preferred cofactor of enzymes called glycosyltransferases; these enzymes are required for the synthesis of proteoglycans that are needed for the formation of healthy cartilage and bone (9). Serrazyme or Serrapeptaste is can be read in a past article above (See Treat yourself like a Racehorse), so let me cut to the Nattokinese. Nattokinase is an enzyme (a protein that speeds up biochemical reactions) that is extracted from a popular Japanese food called natto. Natto is boiled soybeans that have been fermented with a bacterium called Bacillus natto. Nattokinase, the chemical in natto that is probably responsible for its effects, was discovered by a University of Chicago researcher, Dr. Hiroyuki Sumi. You won’t find nattokinase in soy foods other than natto, since nattokinase is produced through the specific fermentation process used to make natto. It is also used for pain, fibromyalgia, chronic fatigue syndrome, endometriosis, uterine fibroids, muscle spasms, infertility, cancer, and a vitamin-deficiency disease called beriberi. Nattokinese can be purchased at your local health store, or if you go to Amazon, there are many brands at comparable prices. My wife and I invented a product that came out last year called St. Jude’s Miracle Oil®. The product is designed for its cooling, soothing, uplifting and relaxing effects. Our product also won an INPEX international award for new inventions. (See website www.stjudesmiracleoil.com for more info). We are also happy to see my wife’s submitted article that will be published in the April 2013 Aromatherapy Today, International Aromatherapy Journal! The name St. Jude’s Miracle Oil® is a proprietary blend of 9 essential oils registered under the US Trademark and Patent office, and is protected by trademark and patent laws. The special blend is a trade secret not public, and is also protected by law. Wintergreen (Gaultheria procumbens), Peppermint (Mentha piperita), Lavender (Lavandula angustifolia), Eycalyptus Blue (Eucalyptus bicostata)Clove bud (Syzygium aromaticum, Geranium (Pelargonium graveolens), Clary Sage (Salvia sclarea), Frankincense (Boswellia carteri) and Myrrh (Commiphora myrrha). So when you have joint issues, or soreness, consult your primary healthcare provider. Reaearching some of these products can give us more information on what seems to be very common with athletes and people in general. The information presented on this site is not intended for diagnostic or treatment purposes. Please consult your own physician for medical advice or services. The information provided on this website is intended for informational purposes only, and should not be considered a replacement for the expert advice of a qualified health practitioner. 9. Keen CL, Zidenberg-Cherr S. Manganese. In: Ziegler EE, Filer LJ, eds. Present Knowledge in Nutrition. 7th ed. Washington D.C.: ILSI Press; 1996:334-343. 11. Shetlar MR, Shetlar CL. The role of manganese in wound healing. In: Klimis-Tavantzis DL, ed. Manganese in health and disease. Boca Raton: CRC Press, Inc.; 1994:145-157. 15. Methyl salicylate 2-O-β-D-lactoside, a novel salicylic acid analogue, acts as an anti-inflammatory agent on microglia and astrocytes.Lan X, Liu R, Sun L, Zhang T, Du G.J Neuroinflammation. 2011 Aug 11;8:98. doi: 10.1186/1742-2094-8-98. 16. A novel naturally occurring salicylic acid analogue acts as an anti-inflammatory agent by inhibiting nuclear factor-kappaB activity in RAW264.7 macrophages. Zhang T, Sun L, Liu R, Zhang D, Lan X, Huang C, Xin W, Wang C, Zhang D, Du G.Mol Pharm. 2012 Mar 5;9(3):671-7. doi: 10.1021/mp2003779. Epub 2012 Feb 15. 18. Evaluation of the new anti-inflammatory compound ethyl salicylate 2-O-β-d-glucoside and its possible mechanism of action. Xin W, Huang C, Zhang X, Zhang G, Ma X, Sun L, Wang C, Zhang D, Zhang T, Du G.Int Immunopharmacol. 2012 Dec 4;15(2):303-308. doi:10.1016/j.intimp.2012.11.014. 19. Mullally BH, James JA, Coulter WA, Linden GJ. The efficacy of a herbal-based toothpaste on the control of plaque and gingivitis. J Clin Periodontol. 1995;22(9):686–9. 22. Phytochemical composition of Cymbopogon citratus and Eucalyptus citriodora essential oils and their anti-inflammatory and analgesic properties on Wistar rats. Gbenou JD, Ahounou JF, Akakpo HB, Laleye A, Yayi E, Gbaguidi F, Baba-Moussa L, Darboux R, Dansou P, Moudachirou M, Kotchoni SO. SourceLaboratoire de Pharmacognosie et des Huiles Essentielles, Faculté des Sciences de la Santé, Faculté des Sciences et Techniques, Université d’Abomey Calavi, 01 BP 918, Cotonou, Benin. 24. Curr Med Chem. 2003 May;10(10):813-29.Antibacterial and antifungal properties of essential oils. Kalemba D, Kunicka A.SourceInstitute of General Food Chemistry, Technical University of Lodz, Poland. 25. 20Greenway, f, Frome & Engels, T. (2003). Temporary relief of postherpetic neuralgia pain with topical geranium oil. American J of Medicine, 115, 586-587. 28. Anti-inflammatory and analgesic activity of different extracts of Commiphora myrrha. Source: Jiangsu Key Laboratory for TCM Formulae Research, Nanjing University of Chinese Medicine, Nanjing 210046, PR China. 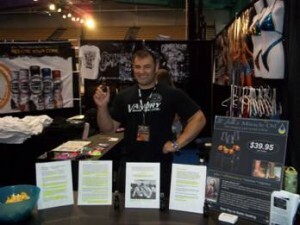 Professor William Vandry’s View- April 2012 St. Jude’s Miracle Oil at the 2012 NPC Texas Shredder Classic Expo! William Vandry in vendor booth busy with pain complainers in life! soreness. Stress. Irritation. Allergies. 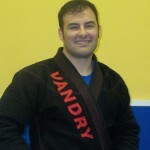 We all get them, and in my article on http://www.austinbjj.com/, I have a similar article discussing my new product that has been recently made, and is also filed with the US Trademark and Patent office. Co-vendor for St. Jude’s Miracle Oil, Nurse Chandra! As many know, my product was a motivation due to two of my students that had major hip and knee surgeries that I found is relieved with essential oils. As an athlete my entire life, I always remember the injuries. 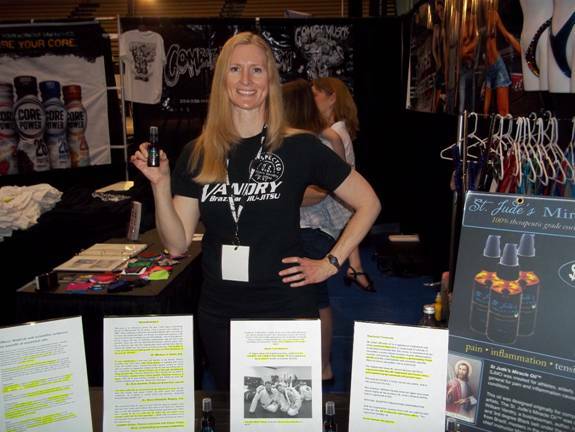 Professor Vandry at the vendor booth with St. Jude’s Miracle Oil! I developed my product I named after my patron saint, St. Jude, the patron saint of miracles and lost causes. I developed this product for a reason. For Cooling, Soothing, Relaxing and Uplifting effect. Many of us have stress, missed a night of sleep, twisted an ankle, have a headache, drank too much caffeine or didnt drink enough water. Those and many other things break down.You have to take a humble approach in life. Dealing with injuries can make a person fret, or simply try to find a way to overcome. My wife and I got our feet wet by attending Diane Hurley and Dave Gooden’s Texas bodybuilding competition called the Texas Shredder. I enjoyed Diane and Dave’s ideas, and their promotion of natural bodybuilding. 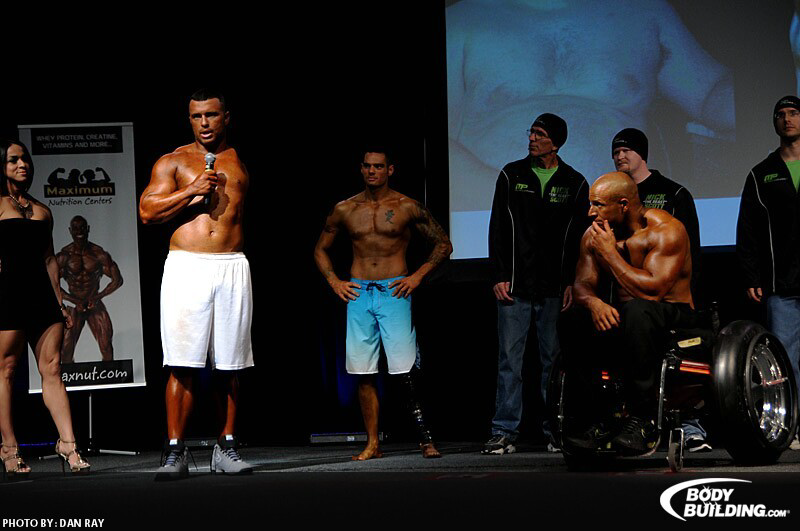 I myself have always promoted natural means of diet, nutrition, and supplementation in life. Diane and Dave (owner’s of the Austinpopular gym Hyde parkgym http://hydeparkgym.com/) promotes their Texas Shredder, and I thought the level of natural bodybuilding has jumped so far ahead, and I saw the great competitors. More so, Diane had a handicapped division of bodybuilders, but I didn’t really handicapped persons competing. It was a great development of three bodybuilders who just happened to have had a handicap, not handicapped people doing bodybuilding. The crowd went absolutely berserk, and I cheered for them myself. What motivation. Chandra and I enjoyed speaking with many people in our booth at the expo to promote the oil. 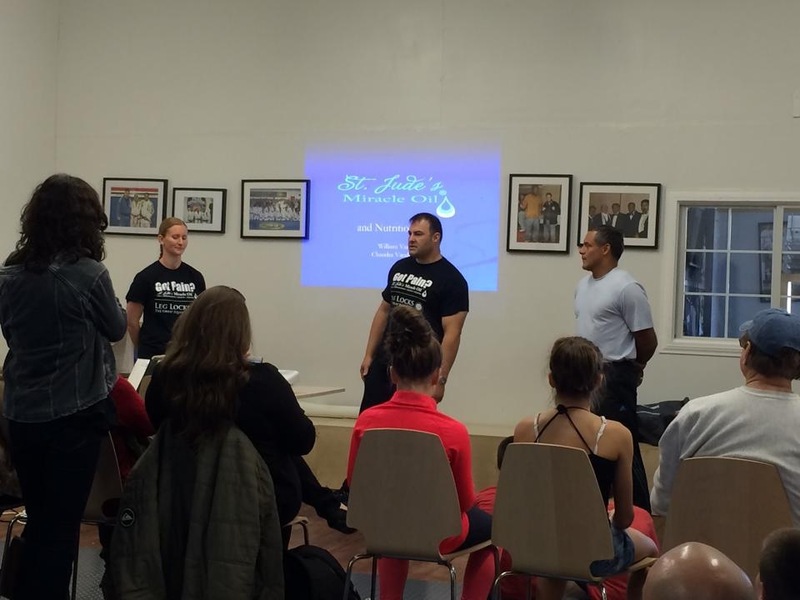 As a Martial artist, and someone who does bodybuilding and powerlifting training at the gym, I really enjoyed the good karma among the competitors, and people like Dave and Diana. Dave is a pro bodybuilder in the IFBB, and Diana is an NPC judge, promoter of the Texas Shredder Classic & Texas State Natural body building shows in Austin TX, is a fitness model, She is also a recent breast cancer survivor who has become a very inspirational writer and blogger about the cancer journey. I had a busy day with interested people approaching our booth. I would say almost each person that came to my booth stressed they had stress, tension, migraines, knee pains, and shoulder injuries, etc. which are typical of people who bodybuild or lift weights. A We let each person try the oil using the method of armatherpy, and they wanted to use the blend of essential oils on their particular discomfort, and I am happy to say we had a 100% success rate at relieving much of their stress, pain, etc., to some that actually completely relieved within 2-15 minutes. Chandra and I had a great time observing the competitors, meeting the promoters and staff, and most of all, we were very pleased to observe the effect the oil had for many people who stopped in our Vendor booth. We see our oil working very well, and look forward to 2012! 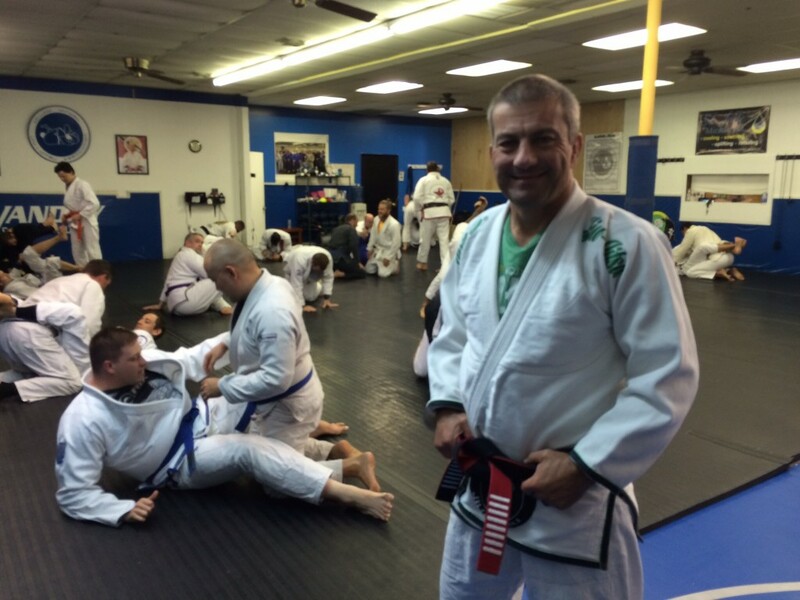 3rd degree Black belt in Brazilian Jiu-jitsu, AND the inventor of St. Jude’s Miracle Oil! 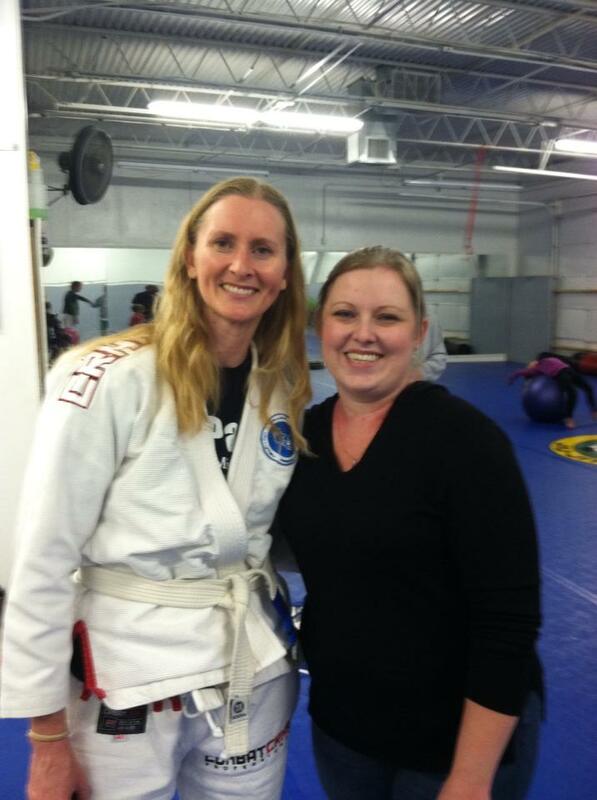 I have been teaching for over 15 years. 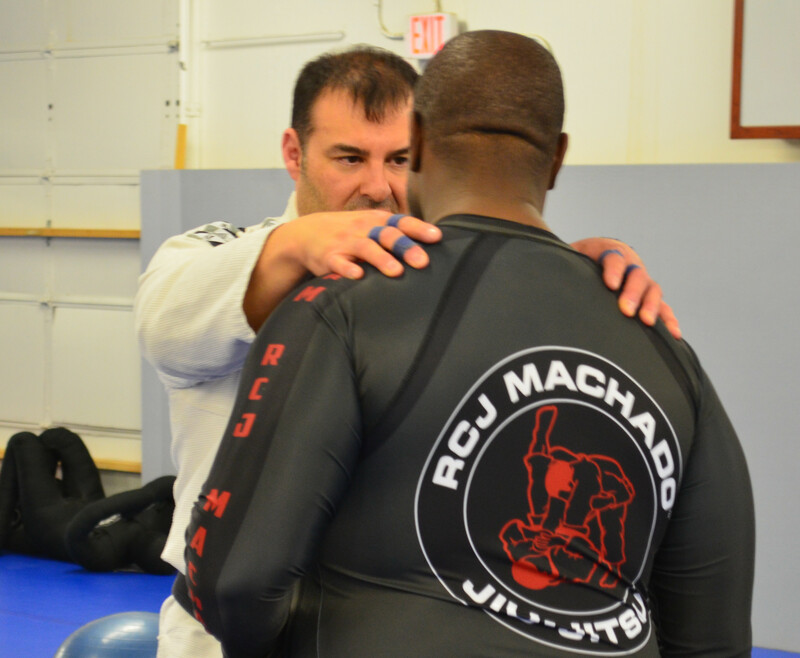 When I first began training in BJJ under my mentor Carlos Machado and his brothers, I developed a path of many different areas. Overcoming areas that ended up becoming problem solving practice. 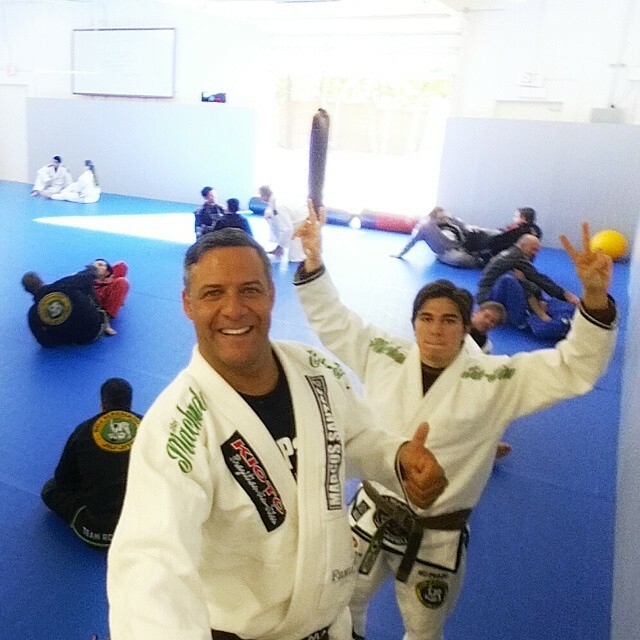 Developing new ideas in the art of Brazilian Jiu-jitsu. 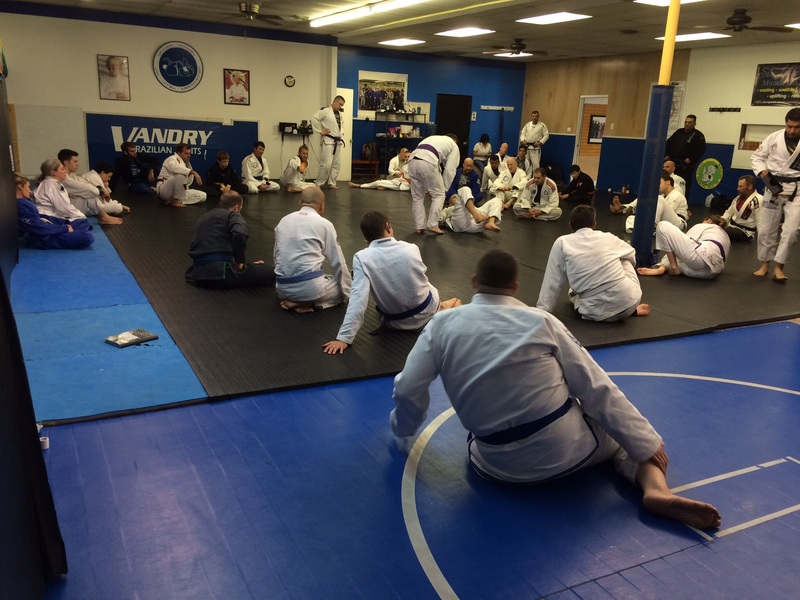 Learning via experience how to teach, develop newer ideas teaching BJJ, and more importantly leading a community that we have an obligation as instructors to do so. We have in my opinion the best martial arts community in the world. I am sure each community feels the same way, but our community does more than simply train in class or has a dinner award. We train, search ideas, new techniques, and develop sweat, blood and tears to become better at your physical skills, your mental skills, psychological skills, and remember to lend your fellow student a hand. We all combine aid and support for each other whether someone just had a new baby, or a birthday, or was enduring a trying time in their life. We all support each other, each and every one of our schools in Texas and Arizona, and Afghanistan. We develop community events such as pub meetings or annual Halloween events, as well as fundraising for needed causes. We also support fellow students in difficult times. Overcoming setbacks are a challenge to everyone in life. Everyone. We do two different possibilities when challenged with a setback; 1) quit, 2) overcome. Do we have a choice? Absolutely. We view life at times as bad luck or tough times, or ‘It’s not fair’. I have had many students overcome injuries. Many have endured or struggled with them. I understand the process of recovery. I remember a long time ago I had a very serious injury that halted everything in my life. And I did fortunately. And it took a lot of my faith to strengthen that. Healing and recovery are ways to challenge setbacks. Self-motivation and assurance are an attribute as well. 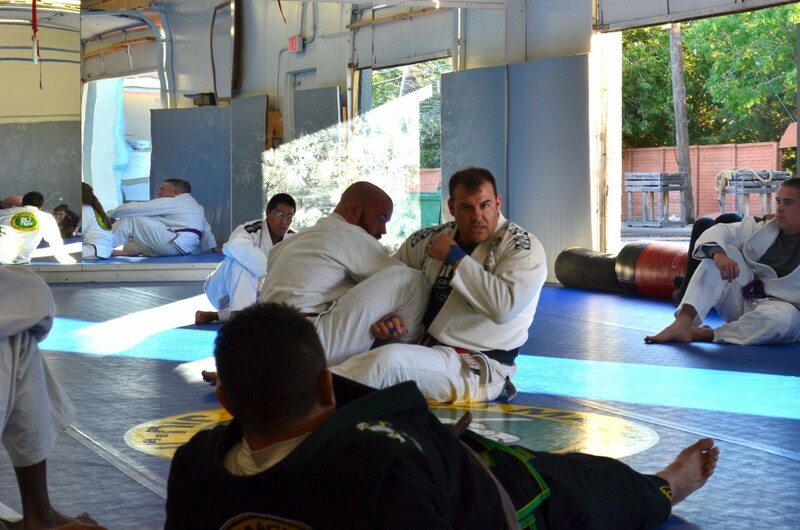 In the art of BJJ, and of all the students I have the pleasure to teach and mentor, I hear of an old injury or nagging injury or something that is debilitating to a student. These are not necessarily injuries from class. I have had two students injure their knee meniscus via yard work or something trivial. These setbacks are common. Athletic injuries can be just as bad. 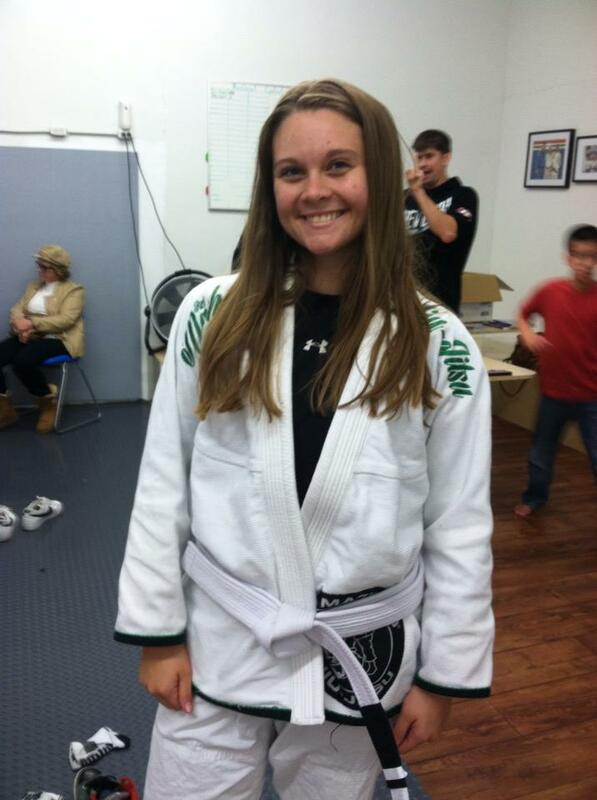 As an athlete my entire life, I understand setbacks, injuries and overcoming. Medical research is my primary vehicle to obtain information on the newest sciences of injuries, recovery, etc. I wrote two past articles named “Treat yourself like a racehorse” part 1 and 2. Both articles discuss in depth illnesses that medical doctors such as Dr. Sherry Rogers MD discusses and points out relating nutrition and detoxification. •Smelling lavender oil can reduce the stress hormones in your blood. For help sleeping at night, put some on your pillow. •Peppermint oil is one of the few essential oils that can be ingested. Mix with water to relieve indigestion and ease the symptoms of irritable bowel syndrome. The aim of this study was to assess the anti-inflammatory efficacy of Boswellia frereana extracts in an in vitro model of cartilage degeneration and determine its potential as a therapy for treating osteoarthritis. This is the first report on the novel anti-inflammatory properties of Boswellia frereana in an in vitro model of cartilage degradation. We have demonstrated that B. frereana prevents collagen degradation, and inhibits the production of pro-inflammatory mediators and MMPs. Due to its efficacy we propose that B. frereana should be examined further as a potential therapeutic agent for treating inflammatory symptoms associated with arthritis. Essential oils are an interesting subject. 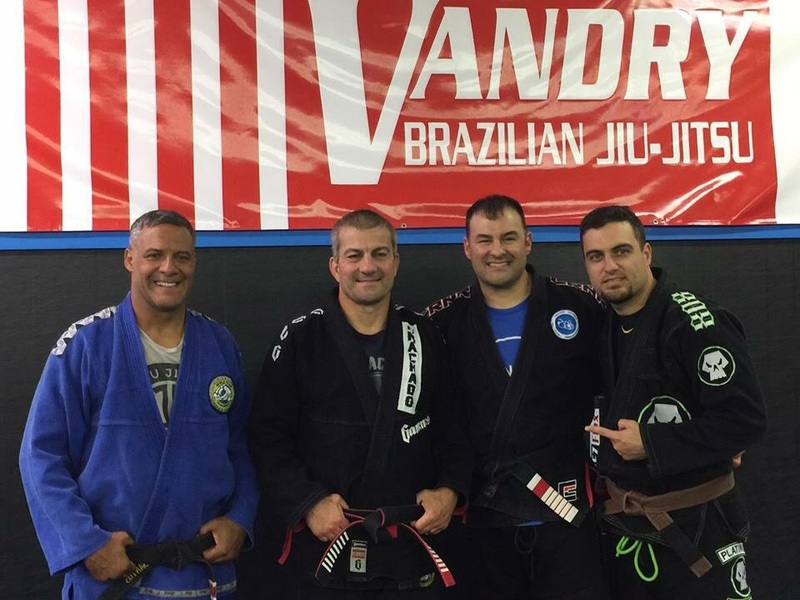 What does this have to do with BJJ? A lot. We are athletes and martial artists. Injuries are daily at home, class or work. Two students motivated my research to develop St. Jude’s Miracle oilTM. 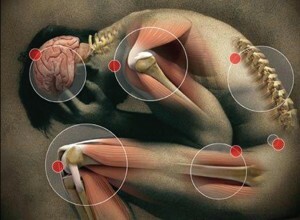 When we have pain, we also are irritated, anxious, aggitated among other emotions. I had done research on essential oils in the past I forgot about, and I had a file of references and research. This file remained there until earlier last year (2011) I had one of my black belts endure a very terrible plantar fasciatis sprain to his ankle. I searched to find anti inflammatory products such as the RICE method, biofreeze, other products such as panaway, bentonite clay packs, etc.. Nothing really worked to make a difference at a relatively short time. And a little after, our school Doctor who had endured a major hip replacement surgery due to a past car accident also had sustained a tremendous amount of pain which impedes rest, sleep, comfort and constant irritation. I developed a combination of the 9 essential oils in my product that is now on the market called St. Jude’s Miracle OilTM. I was compelled to develop this. I knew it could be helpful. 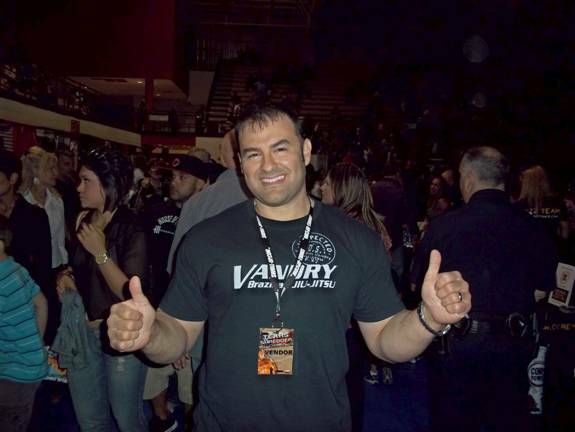 When I developed the prototype oil, I began to try it on myself when I was recovering from weight training, cardio or Jiu-jitsu soreness after training. I noticed my recovery time, which is relatively fast due to my supplements and nutrition and proper rest, was enhanced with my experimental oil. I carried it with me every where I went, and at my academy when a student had asked if he or she wanted to try the oil. At this time we have had a 100% success at relieving. I began a facebook page on the St. Jude’s Miracle Oil. This product, which I have filed under the trademark and patent office, was named after St. Jude Thaddeus. For those who do not know who St. Jude is, or has a different religion or belief and are not aware of whom he was, he was and is the patron saint of lost causes. St. Jude was a cousin of Christ in the New Testament. I felt this name was proper for this product. Now what does this product do? The blend of essential oils serves many purposes. The information presented through this web site is not medical advice, and is not given as medical advice. Nor is it intended to propose or offer to propose a cure for any disease or condition. Before starting any medical treatment, please consult your physician. Pure Essential Oils Have Very High Frequency. Everything has frequency. In his book The Body Electric, Dr. Robert O. Becker establishes that the human body has an electrical frequency and that much about a person’s health can be determined by the person’s frequency. In 1992, Bruce Tainio of Tainio Technology, an independent division of Eastern State University in Cheney, Washington, built the first frequency monitor in the world. Tainio determined that the average frequency of the human body during the daytime is 62 to 68 MHz. (A healthy body frequency is (62 – 72 MHz.) When the frequency drops, the immune system is compromised. Dr. Tainio states that f the frequency drops to 58 MHz, cold and flu symptoms appear. At 55 MHz, diseases like Candida take hold; at 52 MHz, Epstein-Barr and at 42 MHz, Cancer. According to researcher Dr. Jean Valnet, M.D., an essential oil that is directly applied to the skin can pass into the bloodstream and diffuse throughout the tissues in 20 minutes. Essential oil are the subtle, aromatic and volatile liquids extracted from the flowers, seeds, leaves, stems, bark and roots of herbs, bushes, shrubs, and trees, through distillation. According to ancient Egyptian hieroglyphics and Chinese manuscripts, priests and physicians were using essential oils thousands of years before Christ to heal the sick. They are the oldest form of remedies and cosmetics known to man and were considered more valuable than gold. There are 188 references to oils in the Bible. Science is only now beginning to investigate the incredible healing properties of essential oils. St. Jude’s miracle oil has an anti-histaminic action, with its cooling, soothing and even anti-inflammatory action. St. Jude’s miracle oil contains a special blend of 9 special essential oils. Inflammation can be caused by a variety of conditions, including bacterial infection, poor diet, chemicals, hormonal imbalance, and physical injury. Certain essential oils have been documented to be excellent for reducing inflammation. German chamomile contains azulene, a blue compound with highly anti-inflammatory properties. Peppermint is also highly anti-inflammatory. Other oils with anti-inflammatory properties include helichrysum, spruce, wintergreen, and clove. And now, back to the mat, a little less sore, and keep the inflammation down! Welcome to William Vandry’s website.